Show off to your friends and family with a custom design photo card from Arabella Papers. The perfect family photo is gorgeously enhanced with an elegant photo card that acts as a keepsake matte. Simply drop it in a picture frame of your choice to create an everlasting memory. We can even die-cut your photo in various shapes and apply to your card if you chose. 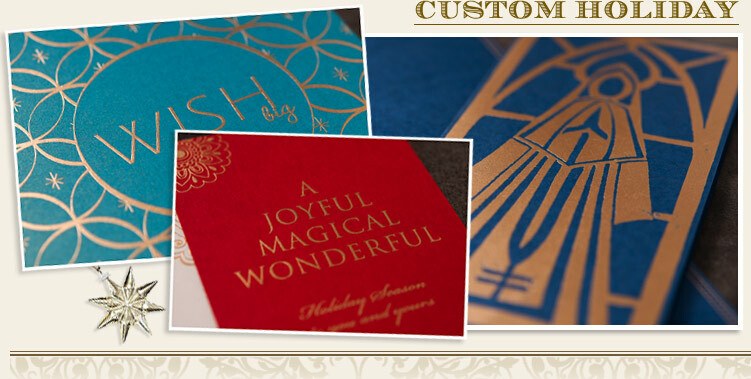 There is nothing more festive than our fine collection of custom greetings this holiday season!